I’m slowly but surely bringing this Roller Disco back to life. It’s been a learning process to say the least. I’ve got the game flipping but there is no sound. How do I test the sound board and what connections in the backbox are for the sound board? I tested the pins at the sound board connector and am not seeing much voltage on them. Not much love for the System 1s around here I'm finding. haha. Sound boards can be black boxes since they aren't documented nearly as well as the rest of the boardset. You'll have to use the schematics to figure out what the edge connector pins are for so you can verify the voltages. 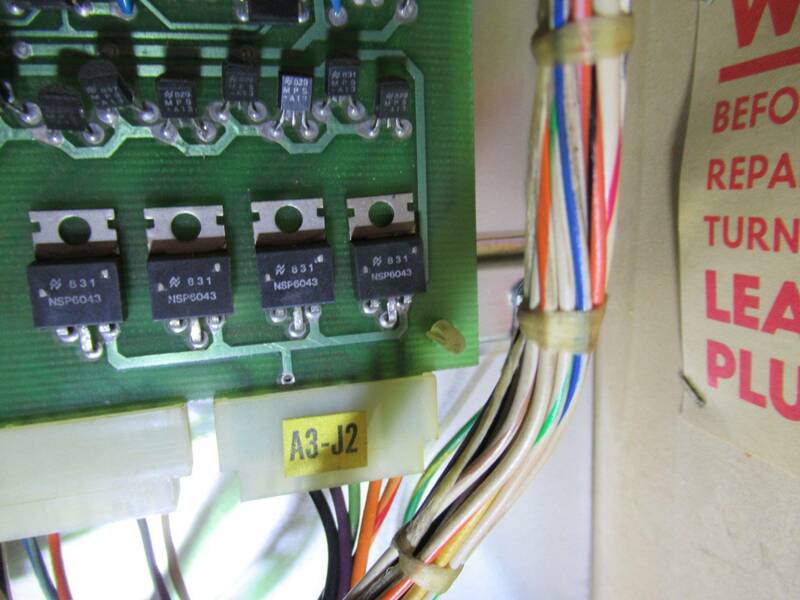 It's also a good idea to check the diodes, make sure the nuts for the regulator are tight, and clean off the edge connector contacts with a pink rubber eraser. 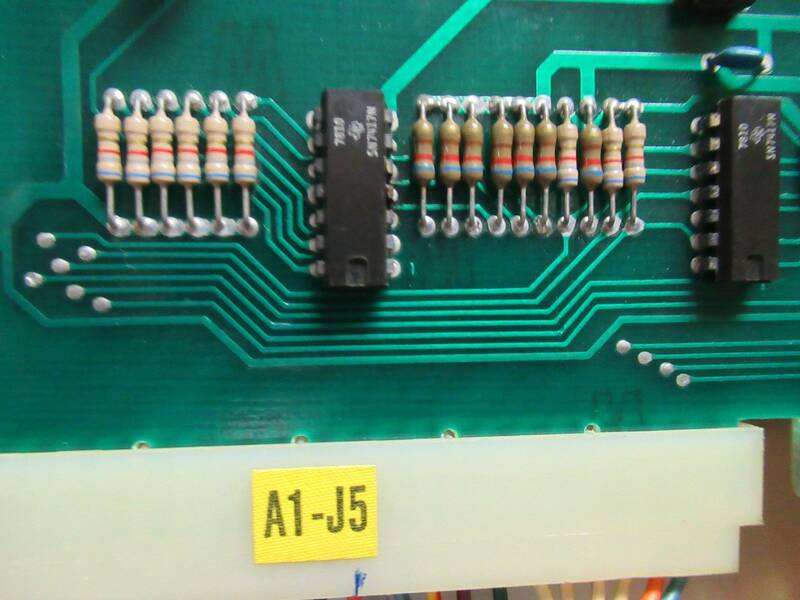 Unfortunately, this particular board has a fatal flaw in which the two unobtainable chips are known to go bad, so like the MPU, it tends to be a throwaway board more often than not. Very cool, First I have heard about the system 1 sound replacement board. This is a guy that is known to straighten out manufactures short comings. I wonder if he fixed the Genie "L" to have more than one sound for almost everything you hit when playing the game? Its so lame I go with a chime unit when I shop a Genie, seems to match the theme better too. If it is a system 1. switch 20 (in the row of dip switches top of main board, is game sound on/off (top portion of that switch is in (depressed)), for game sound. Read the switches L to R, 1 to 8, next 8 is 16, 3rd bank of 8 is 24. SOMETHING to NOTE, I had a problem with a game that was random game sound (some times when powered up it would work, other times it would not, HOWEVER, coin and game start sounds worked correctly regardless. (23 and 14 respectively). It is system 1. I've tried an original Gottlieb System 1 CPU board and a Ni Wumpf CPU board with this sound board. I get no sound using either board which leads me to believe either the sound board is dead or there is a loose connection. Can anyone confirm what connections in the backbox are for the sound board?